If you’re in the business of automobiles, you are certainly no stranger to what liability means. 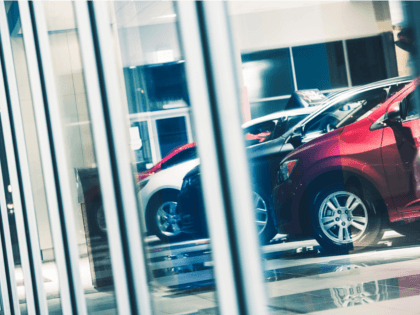 As an auto dealer in Illinois, the best thing you can do to protect your business is to have comprehensive auto dealer insurance. When you own an auto dealership, you certainly have an expensive inventory to protect. At The Jager Agency, A Division of Dimond Bros. Insurance, not only do we understand that concern, but we are also your neighbors here in Illinois so we understand the state rules and regulations as well. At The Jager Agency, A Division of Dimond Bros. Insurance, we take pride in our ability to provide our Illinois neighbors comprehensive and affordable coverage. We understand that not every business is the same, nor does it have the same needs. This is why we want to work with you personally to build you a policy that is customized to your car dealership and its unique insurance requirements. When you’re in the business of something as expensive as cars, you already know that it is important to have adequate insurance protection for the inevitable unforeseen incidents. Let us make the process a lot easier for you by assessing your needs and offering you a comprehensive and customized auto dealer insurance policy. If you’re ready to learn your options, give us a call today at 888.298.6006 or take a moment to fill out the free quote form on this site and we will give you a call back as soon as possible. As your Illinois insurance provider, we look forward to servicing you and your auto dealership today!